Today I’m back with another ‘Coffee Break‘ blog post where I have a natter about a coffee shop I’ve been loving lately, as well as a little life update. I’ve been meaning to check out Flat White for quite some time now. 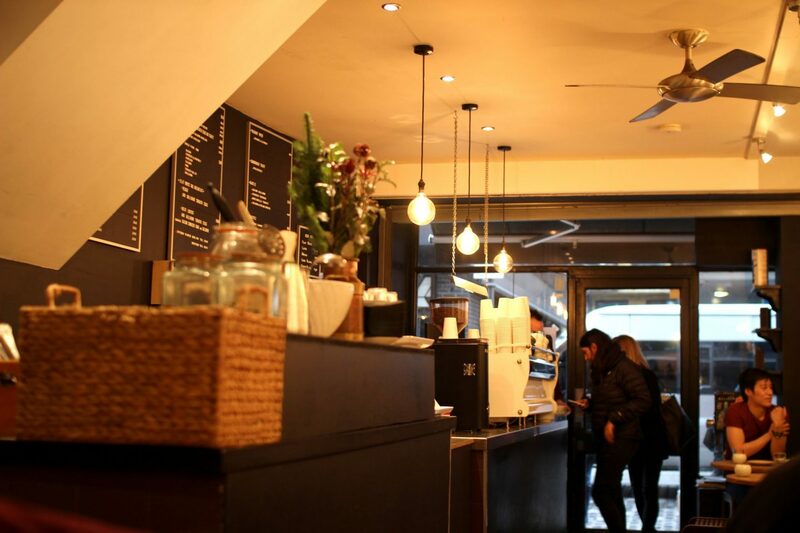 It’s rated one of the best coffee shops in London and it definitely did not disappoint. It’s also located in the trendy area of Soho – lots of quirky shops and restaurants nearby. I ordered a mocha with oat milk and Joe (my hub) had a cappuccino. So creamy and delicious. The coffee had a smoky kick to it which was rather lovely. So other than delicious coffee, life has been rather good. It’s a new year and I’m trying to make positive changes with my life – trying to exercise more, as well as eat healthy – the healthy eating isn’t going so well at the moment. Can’t stop craving sugary treats (shortbread especially), eek! I’m also sad that the Christmas break is over -sob-, it’s been really nice catching up with friends and family. On new year’s eve, Joe and I went into London, got our caffeine fix at Flat White, ate at The Duck and Rice, then drank cocktails at Bar Americain with some friends. Then later on we went to a friend’s house party. So, we ended the year with good spirits, good food and laughter. What’s your favourite coffee shop in London? Have you tried Flat White or Timberyard? 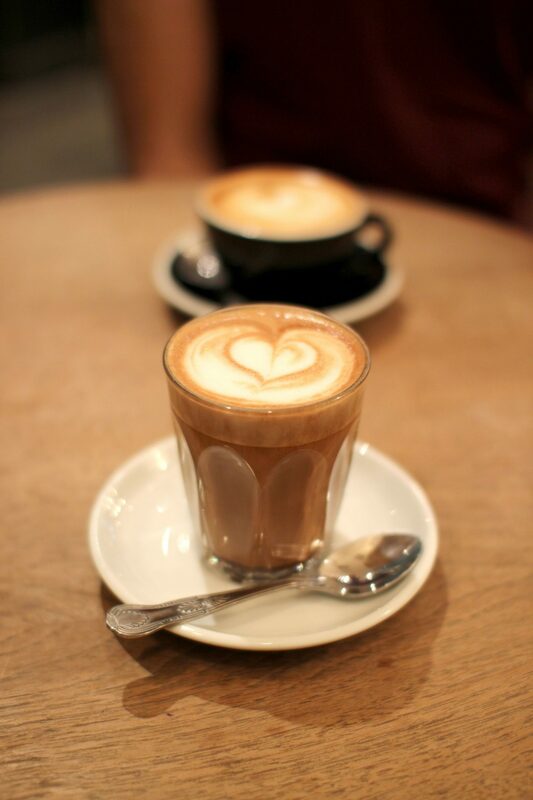 If you’re also interested, check out my 5 Coffee Shops to Try in London post.